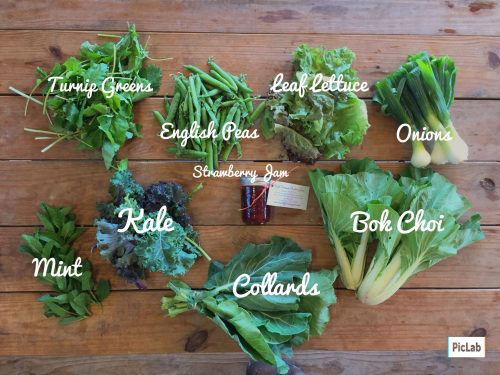 Waverly Farms CSA 5.24.18 - Weekly, Bi-weekly and Monthly Shares! Posted 5/24/2018 11:16am by Patti Rosenberg. This week's share is for all members - Weekly, Bi-weekly, and Monthly Protein shares. Turnip Greens - I find that turnip greens have a pepperiness to them that some of the other greens do not. Of course you could cook these a more traditional way, but why not try them in this frittata since it's a long weekend? https://food52.com/recipes/24340-turnip-greens-frittata If you want a little shortcut, you could use bagged hash brown potatoes to help fill it and make it easy on yourself. 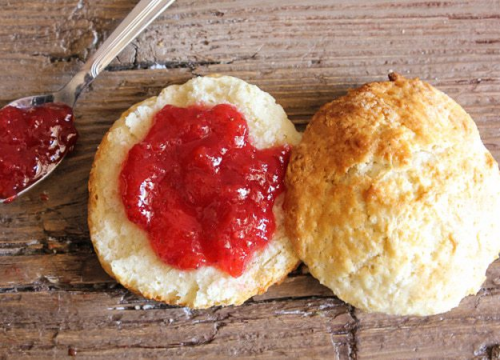 Would be delicious with a biscuit and some of that strawberry jam that Patti made for us!! I will confess that I buy the frozen Pillsbury. English Peas, Onions and Bok Choi - I discovered how to make my own fried rice the first year we started with this CSA, what inspired me to try it was some sugar snap peas. But these onions, peas and bok choi are crying out to be together in a yummy dish! It's super easy - just sauté the onion in a little oil (I use vegetable but sesame would be delish), then add the veggies from firmest to softest (so for example, carrots if you have them, then peas, then the bok choi chopped up, then add a couple of eggs and swirl it around with a rubber spatula. Next add some already cooked rice (slightly undercooked is good since it will cook a bit more in the pan), and then other condiments as you wish - I typically just add soy sauce. I am going to be real with ya'll and tell you that I buy those bags of rice that you can steam in the microwave so I cook 2 bags of rice while I'm sauteeing the vegetables and then dump them in. 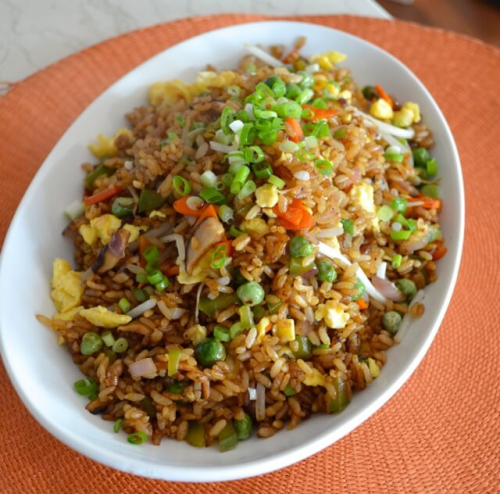 You could of course steam some rice on the stovetop or in a rice cooker and add it in. Mushrooms and broccoli are great additions if you have them on hand and need to use them up. You can also add a protein such as chicken or pork. 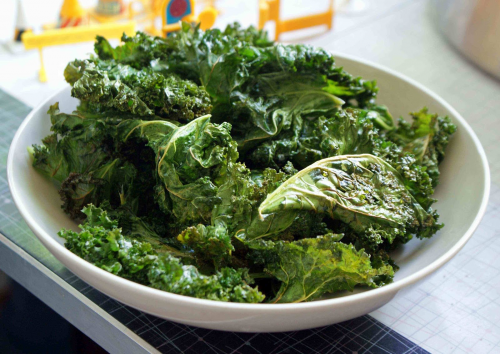 Kale - Kale chips might be a nice way to use up this kale this week, especially since we have so many different types of greens and you may not want to eat them all in the same way (I love variety - how about ya'll?! My husband could eat the same thing every day for the rest of his life and never complain. I like to switch it up!). There are millions of kale chip recipes but if I'm not sure which one to trust, I tend to go back to an old standby - Food Network. https://www.foodnetwork.com/recipes/melissa-darabian/crispy-kale-chips-recipe-1923723 You could add a little chili flake for some heat and to spice things up. When I am trying to get my kids to try something different, sometimes I pair it with something familiar so I might put a bowl of regular ol' plain potato chips next to the kale chips so they can have a little of both - or we can play a "game" - try both and tell me which one you like best! Collard Greens - You may want to cook these low and slow while you are out having some (almost) summer fun this weekend, especially if you get a protein share and receive a roast. You could cook both of them while you are out at the pool and come home to a tasty meal all ready for you! You can also cook them just like you do Kale chips since this hardy green roasts well. Mint - store mint out of your refrigerator with the bottom of the stems in a glass of water. This keep is fresh longer!! I throw mint into just about everything. Tear or chop it into your greens, salad, tea, ice cream - anything. You can freeze it into ice cubes, too! Or, make a fresh Authentic Mint Tabbouleh using the onions and your own tomatoes. Leaf Lettuce - Eat this lettuce soon in a salad or on sandwiches. It had a rough week in the rain and is a little stressed. We've washed it for you but could not spin it without bruising it. Strawberry Jam - Patti celebrated the Royal Wedding by making strawberry jam - all day, even through the Preakness horse race. Lucky us, we have berry organically minded Royal Preakness Strawberry Jam this week! All ingredients are organic, except the pectin. Enjoy on toast, PB&J, or save it for a special Lox and Bagels or jam and goat cheese on crackers. Roast - Like I mentioned above, if you cook a roast low and slow all day while you are out enjoying the long weekend, you can come home to a yummy dinner. And they are such a nice size, that you will probably have leftovers for during the work week, and who doesn't like to have food ready to go when you are coming off a long weekend? The key to a juicy roast is to sear it in the pan on a fairly high heat and then place it in a crock pot or you can prepare it in a Dutch oven and to let it cook for as long as possible! This will ensure a super moist roast. Try The Ultimate Slow Cooker Pot Roast, which is FULL of flavor! Hamburger and Pork Sausage - Well Memorial Day weekend begs for burgers and dogs, right?! We've got you covered with hamburgers and sausage! Grill it all up and enjoy! We keep our burgers simple with salt and garlic powder, how about you? Do you prefer to add egg, bread crumb, Worcestershire etc.?! I'm curious to know!! The official Waverly Farms Ultimate Hamburger blends the pork sausage into the ground beef for a super delish hamburger! These gorgeous onions will grill perfectly, too. Just cut them lengthwise and coat them with olive oil, salt and pepper to taste and put them on the grill, turning when they look like they need it. The best! !